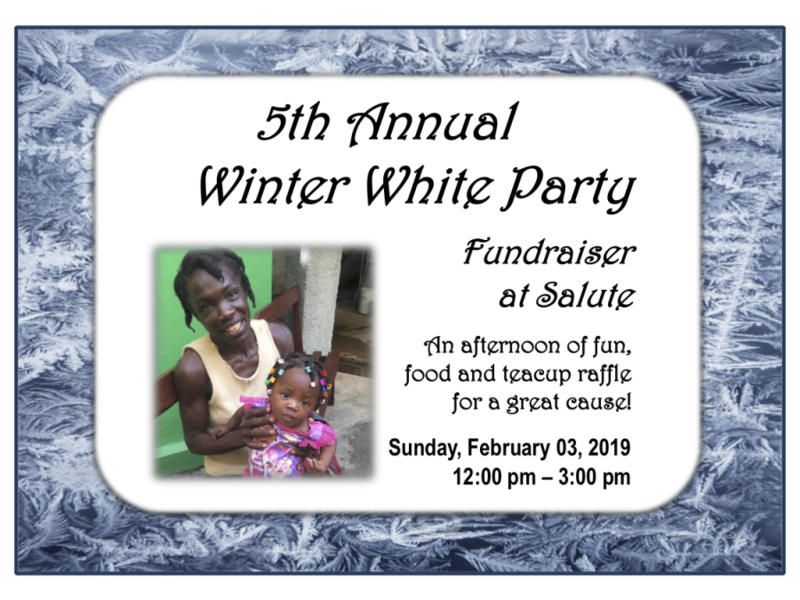 Join us for our 5th Annual Winter White Party to benefit MATH. – an afternoon of food, fun, music, and tea cup raffle for a great cause! All proceeds from the event benefits Medical Aid to Haiti and their mission to help Haitians heal Haitians. Please reach out to Anne D’Orvilliers (860-760-7009) with any questions.